Wanna know what is there for you each day? Will your ventures for the day be successful? 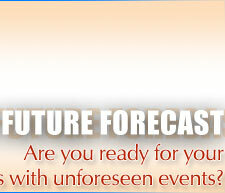 Explore your future on daily basis with day by day forecast. The day by day future forecast report provides the day by day analysis based on the impact of planets. This gives an insight into future forecast on daily basis about - interaction with friends and family, traveling, success, lucky numbers and colors, mood. Thus the day by day future forecast gives the general prediction about each day.